Posted on 20, March 2019 by EuropaWire PR Editors | This entry was posted in Banks, Financial, Investment, Italy, News, Small Business, Technology and tagged banks, CHINA, Dongguan, fintech, Foshan, Guangzhou, high-tech giants, HK ecosystem, Hong Kong, Huizhou, Intesa Sanpaolo Innovation Center, Jiangmen, Macau, Maurizio Montagnese, Moises Cohen, Shenzhen, startup acceleration, technology patents, Tel Aviv, The Floor, The Floor Hong Kong, The Greater Bay Area, tier-1 banks, wealth management technology, Zhaoqing, Zhongshan, Zhuhai. Bookmark the permalink. HONG KONG, 20-Mar-2019 — /EuropaWire/ — New partnership has been agreed on by Intesa Sanpaolo Innovation Center and the premier technology platform The Floor Hong Kong. 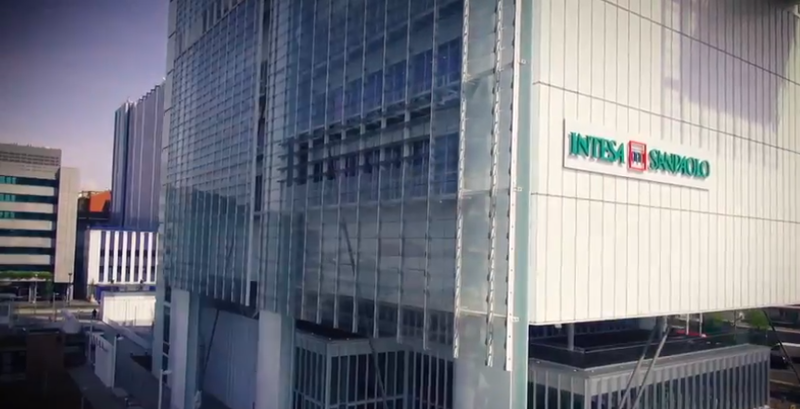 Intesa Sanpaolo Innovation Center is Intesa Sanpaolo Group‘s arm that oversees, implements and accelerates innovation development processes and projects. The Floor is a Fintech Innovation Center that has recently established its presence in Honk Kong, the leading city in the Greater Bay Area. Intesa Sanpaolo is one of The Floor’s founding partners. Intesa Sanpaolo Innovation Center’s partnership with The Floor Hong Kong opens a window on an innovative ecosystem which is growing exponentially. The two innovation centers have previously worked together in the fintech sector in Tel Aviv, Israel and the current partnership steps on this positive experience. The new partnership aims at supporting Intesa Sanpaolo Innovation Center’s activities in accelerating international scale-ups of Italian companies in Asia. Additionally, it will provide a training program for young talented managers of the Bank and will as well facilitate the scouting of wealth management technology platforms in the Chinese market. The Greater Bay Area, China’s most dynamic zone, is the leading producer of technology patents in Asia and home to the biggest high-tech giants in China. The Greater Bay Area includes Hong Kong, Macau, Guangzhou, Shenzhen, Zhuhai, Foshan, Zhongshan, Dongguan, Huizhou, Jiangmen and Zhaoqing. “I am thrilled that one of The Floor’s founding partners, Intesa Sanpaolo, continues to trust in us; this being our fourth year of strategic partnership. I believe the expansion of our relationship is key to achieving our goal to shape the bank of the future together with tier-1 banks and will also add great value to the HK ecosystem and to our growth in Asia”.